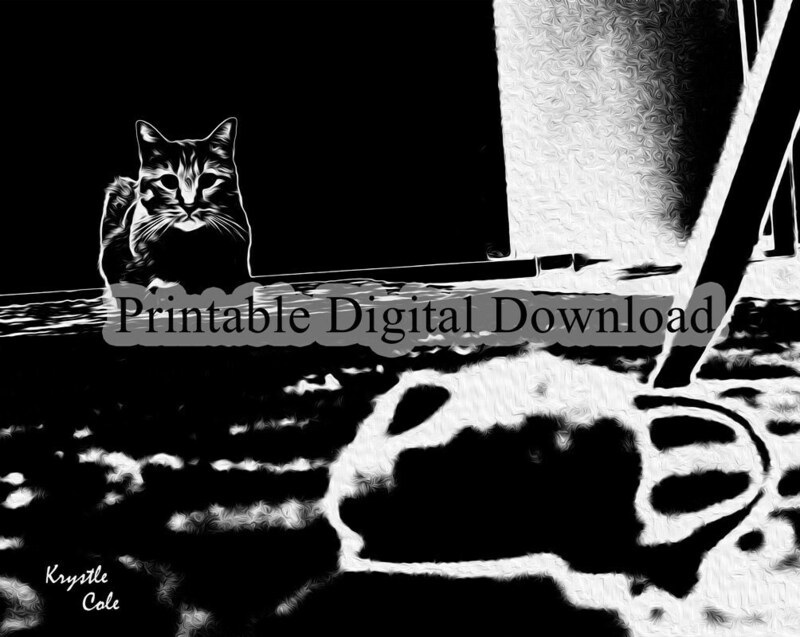 This cat printable art is a monochromatic art of a cat and mouse. This black and white cat artwork is a portrait my tabby cat, Mr. Samadhi, as he waits for me to play with him with his toy mouse. The files will be delivered electronically within minutes of your order and payment. An email will be sent to the address you have provided with a link for your download.